It's that time of year when we all suffer at the hands of our masters FROM Software and take on the latest in the Souls series. Thankfully with co-op we can suffer together so we have put together a quick little guide answering the most frequently asked questions with regards to engaging in co-op in Dark Souls 3. How many players can play Dark Souls 3 online? How do you begin a co-op session in Dark Souls 3? 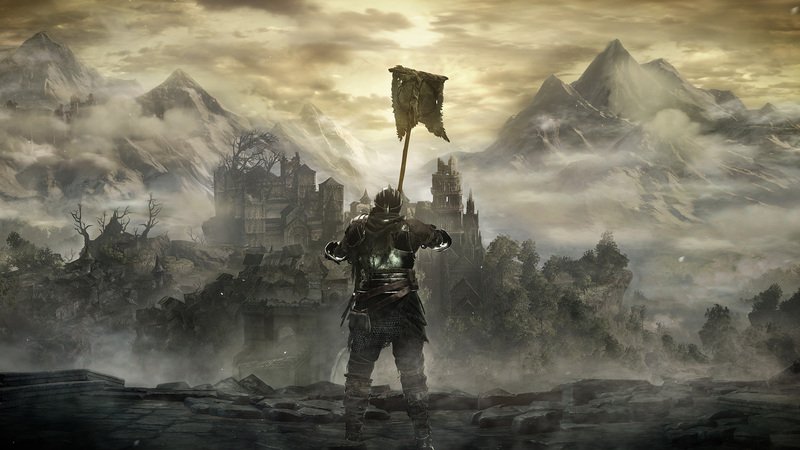 How does save game progress work for co-op play in Dark Souls 3? Can I join a game if the host is further along than me in Dark Souls 3? What if I want to play with my friends? How do the covenants in Dark Souls 3 affect co-op? Can a summoned player ruin my game? I see people that look like ghosts running around in my game, who are they? I see all these orange messages on the ground, what do they do? 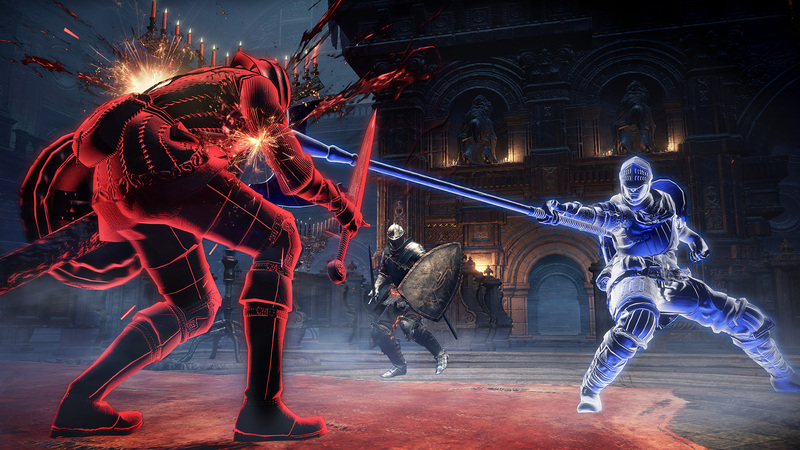 Dark Souls 3 can be played with up to 3 players online in co-op. A white sign soapstone is required for co-op. It is a very early game item you must purchase from the old lady vendor at the Firelink Shrine. Once you have the stone, use it and your summon sign will be placed on the ground. Then you can continue on your merry way or wait until you are summoned by someone in another world. 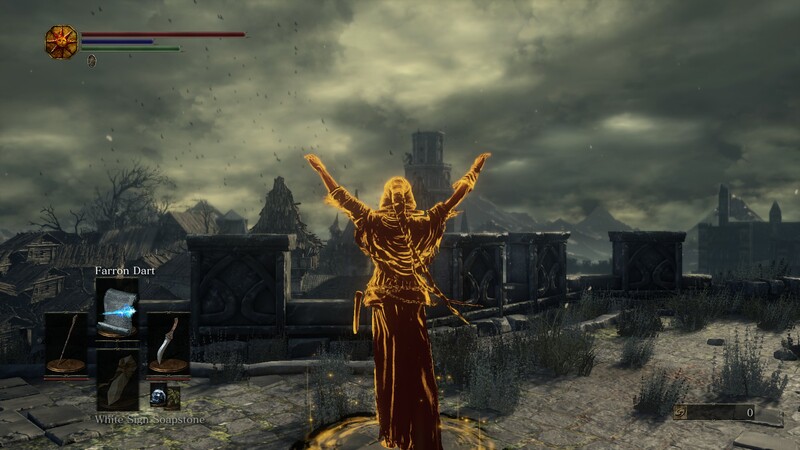 The person who is doing the summoning is required to be in Lord of Cinder form. Use an Ember or defeat a boss to become Lord of Cinder (human) form. When you see a white summon sign, walk over it and select 'summon player'; they will be brought into your world. The person that is summoned into another player's game immediately stops all progress in their world and comes into the summoner's world wherever the sign was placed. No progress is given to the phantoms, however you do gain souls from killing enemies as well as turn human from hollow if you successfully defeat the area boss. Story progress does not matter for either player when it comes to summoning. There are several factors that will limit when you can be summoned. Matchmaking is level-based and players must be within 10 'Soul Levels' (i.e., player levels) of each other. Weapon upgrade levels are also affected by being summoned. Summoned phantoms will have their weapons capped to be within 2 levels of the host's highest weapon, even if the weapon is not equipped. Special weapons, which only upgrade to a max of 5, count each upgrade level as 2 levels for the purposes of this system. Finally, the host of the game will not see any normal summon signs if they have already killed the area boss and will only be able to see small white summon signs. 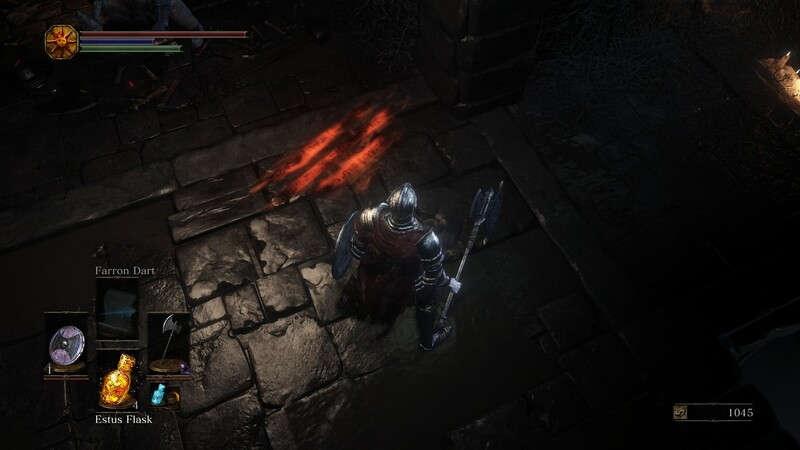 With the removal of 'Soul Memory' in Dark Souls 3 and the addition of the weapon level matchmaking, there should be less low level trolling as low level characters won’t be able to bring high level weapons into someone’s game. You are in luck. 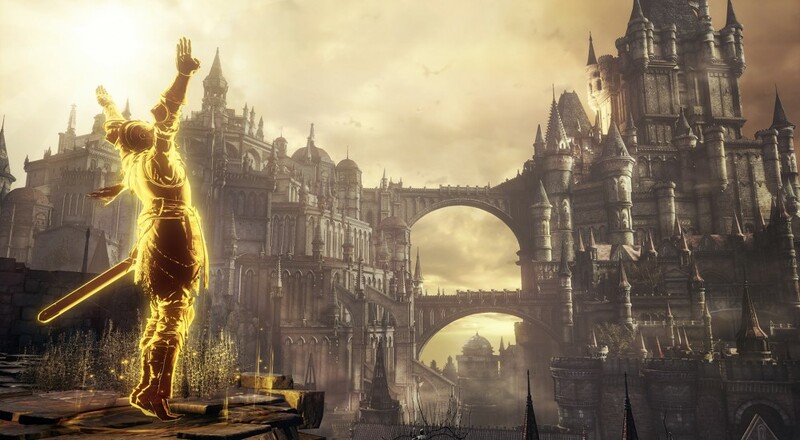 There are no elaborate hoops to jump through in order to try and summon your friends as the password system from Bloodborne has been carried over into Dark Souls 3. Go into the menu and under the Network tab, each player should put the same password into the 'Password Matching' section. Using the same password between players disregards the matchmaking rules (soul level and weapon upgrade level) and adjusts the summoned phantom’s attack power to be similar to that of the host’s. There are a couple covenants that affect co-op play. Players that join the Way of the Blue covenant will automatically be summoned into another player's game as a blue phantom when that player is invaded. Your main goal is to help the host fend off the invaders. The Warriors of Sunlight have their matchmaking levels expanded to be within 20 soul levels. The Warrior will receive Sunlight medals when they have fulfilled their duty to their summoner, which means killing the area boss or remaining in their world for an extended period of time. A phantom cannot interact with NPCs when summoned, nor can they see or pick up items (other than those that drop specifically for them) while in phantom form. No one can 'screw up' your game when you summon them, so go ahead and get some help and engage in jolly co-operation. These are other players and you will see faint images of them from time to time. 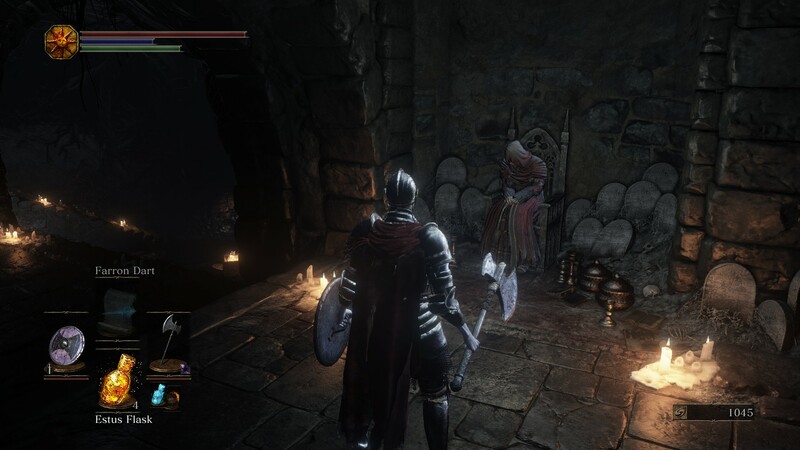 There is no need to worry, but simply take comfort in the fact that someone else is going through the same thing as you right now in Dark Souls 3. The message system in Dark Souls 3 is unique, as it is a self-curated messaging network that players can write to help (or harm) other players. While they have no effect on gameplay, the messages usually contain useful information and hints on how to progress in the game. To write a message in Dark Souls 3, simply hit the start button and go to the player menu, drop down and hit 'Messaging'. You will then be able to craft a message and hopefully help someone out in another world! Page created in 0.3244 seconds.